Steven (Chicagoland, United States) on 2 October 2018 in Animal & Insect and Portfolio. Wilma, a beagle/basset who rescued the family after a previous loss of a pet, succumbed to cancer and had to be put to sleep yesterday. She fought a brave fight and outlived what many veterinarians predicted after first being diagnosed. Being a rescue, her real age was unknown. But she captured the hearts of the family for eight years. Photo captured July 20, 2013. Oh ! it's so sad ! a good face, so gentle, so sweet ! Haaa qu'elle était belle .Je suis de tout coeur avec toi. C'est toujours triste ils font partie de la famille . My heart goes out to you Steven. We had to put one of our two rescue dogs down earlier in the year. Tough business that is. Wilma looks like she was a sweetie. RIP Wilma. Superb portrait of her . She'll stay in your heart . She touches my heart with those eyes, and knowing she brought love and joy to a family. Rest in peace, little one. Calm dreams for you little friend. Those eyes tell you that you had a great and warm heart. My heart breaks reading this post. I am so sorry for your loss. Fur babies capture our hearts forever. 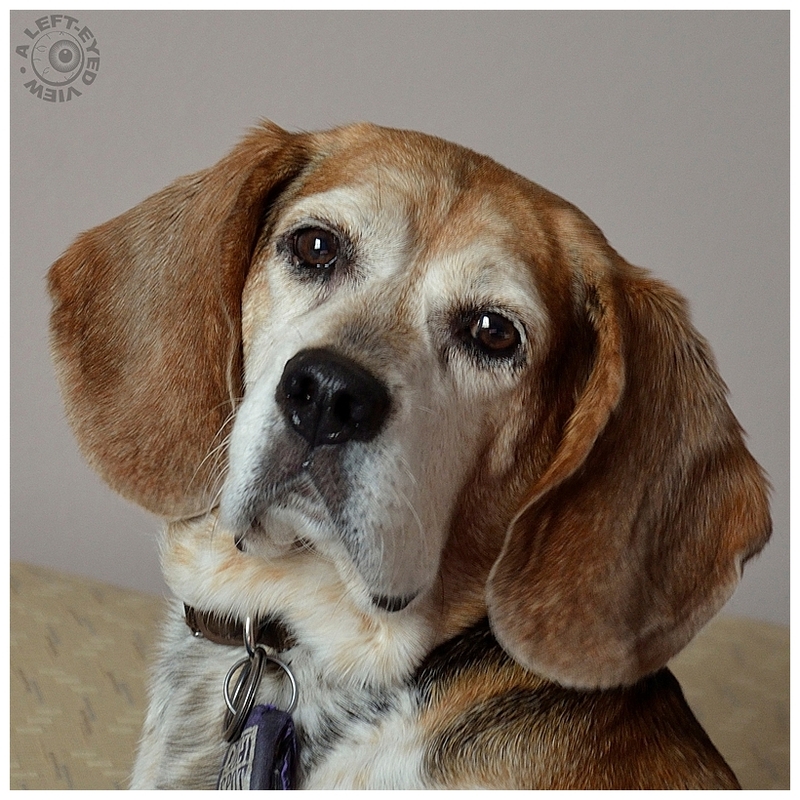 A beautiful portrait of sweet Wilma. I'm very sorry for your terrible loss. A few months ago my little Pinscher died. It was very sad to let her go! I'm sorry friend! Such a beautiful memory you have - your beloved friend. The image shows it. Such a beautiful photo of Little Wilma! That face and those eyes.. So loving. So sorry to hear of her passing. She was definitely loved! I am so sorry Steven. I know that Wilma will be terribly missed. It is so hard to lose a faithful friend and family member. My heart goes out to you and your family. It leaves such an empty feeling inside. What a beautiful memory you've captured. A lovely portrait to go with your memories. It is nice that you had several good years with her. A wonderful Tribute, Steven! We lost our Cat to cancer just one month ago...we still feel the pain as much as we did that day....Our prayers go to Wilma and her adoptive family ....we truly understand!!! Awe- I'm so sorry for your loss. These four legged and feathered friends we let live in our hearts are precious souls indeed. Just look at her eyes... so kind! My best for you and your family. Superbe tête de chien quelle attitude et portrait mervielleux. But you did well. To live to suffer is not to live. I am sorry. A beautiful portrait. Kind look. Great tribute to Eilma. Very sorry to hear about it. Un regard plein de tendresse!